WELCOME TO THE "LEARNING TO DRIVE" STORE! Home use only. For public screenings, please purchase the appropriate license. 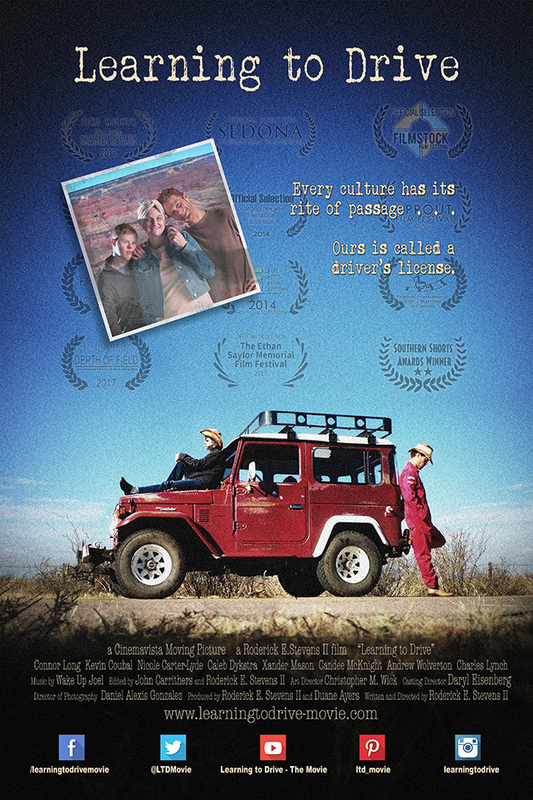 "The Making of Learning to Drive": includes interviews and behind-the-scenes footage! Click here to learn more about our Screening Kits! Each kit includes the essentials for planning, promoting and hosting your screening! Order additional Promotional Materials for your public screening here! Send us a note if there's something else you're looking for! A full size 24"x36" Theatrical Poster, signed by star Connor Long and Director Roderick E. Stevens II. Ships rolled in a tube. Unsigned Theatrical Posters available too. A 11"x17" Promotional Poster, signed by star Connor Long and Director Roderick E. Stevens II. Ships rolled in a tube. Unsigned Promo Posters available too. 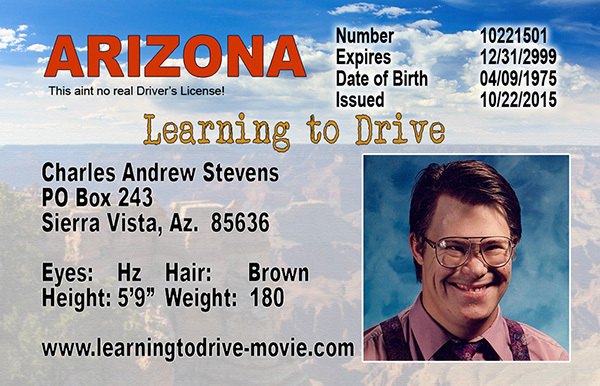 Email us your favorite driver's photo and relevent information and we'll create and laminate a personalized "Learning to Drive" Drivers License! Allow up to 4 weeks from the time we receive your photo and information for delivery. Screen the Film in your Community!